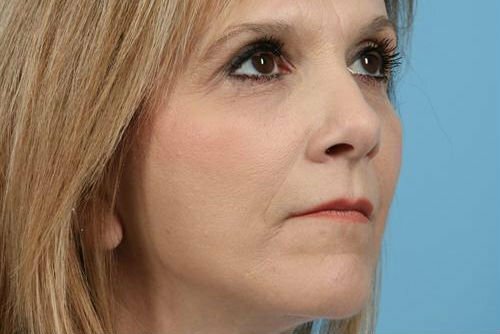 While it might not be among the best-known procedures, blepharoplasty in Charlotte could help patients who suffer from sagging skin on their eyelids or bags beneath the eyes. Also known as eyelid surgery, blepharoplasty is a cosmetic procedure that can be performed on either the upper or lower eyelids or both. When performed on the upper eyelids, the procedure eliminates sagging and excessive skin, potentially improving eyesight for patients whose vision was impaired by drooping skin. When performed beneath the eyes, the procedure eliminates dark circles or bags beneath the eyelids, creating an overall rested and more youthful appearance. Women and men who suffer from excess skin that droops from the upper eyelid over the eye, eyelids that appear puffy, excess skin and wrinkles around the eyelids, folds near the lower eyelids, or dark circles beneath the eyes may benefit from eyelid surgery. In some cases, the patient might suffer from impaired vision due to these issues, although eyelid surgery can be performed for cosmetic reasons alone as well. Blepharoplasty patients should be in good overall mental and physical health with realistic expectations about what the procedure can achieve. Patients with certain ophthalmic conditions, including glaucoma and dry eyes, should know that these conditions can become worse as a result of eyelid surgery. It is important at your consultation for eyelid surgery to discuss any medical problems, including diabetes, high blood pressure, cardiovascular disease, and hyperthyroidism. The best method of determining whether you are a good candidate for blepharoplasty is to schedule a consultation with a trained and experienced plastic surgeon. During the consultation, the doctor will discuss your goals and medical history, and help develop a treatment plan to meet your unique needs. What Can I Expect During Blepharoplasty? We walk each patient through the specific steps of their procedure, as well as ways to optimize healing. Patients should avoid smoking, drinking, vitamin E supplements, and blood thinners including aspirin or ibuprofen in the weeks leading up to surgery. These substances interfere with healing and prolong bruising after surgery. On the day of the blepharoplasty, patients should wear loose, comfortable clothing and avoid wearing makeup or jewelry. Surgery will differ depending on whether the patient is getting upper or lower eyelid surgery or both. This will be discussed during the consultation, when the doctor and patient agree on a specific plan. In the case of an upper eyelid procedure, the blepharoplasty incisions are made in the fold of the upper eyelid, while for the lower eyelid, the incision occurs just below the lower lashes. These areas heal well without perceptible scars. Tissues, including fat and excess skin, are either removed or repositioned through these incisions. For patients intending to eliminate bags beneath the lower eyelids, fat may be relocated there. The surgeon may also use a laser to help smooth out wrinkles in the area or traditional equipment to help resolve muscle laxity issues. After the fat and skin has been removed and/or redistributed, the surgeon closes the incisions. The entire procedure should take anywhere from one to two hours, depending on whether the surgeon is working on the upper or lower eyelid or both. Blepharoplasty is commonly performed at the same time as other facial rejuvenation procedures, such as a facelift and/or brow lift. Following the blepharoplasty, patients are allowed to return home with detailed aftercare instructions. Patients must have a friend or family member present to provide a safe ride home. Sutures are typically removed on the fifth day following the procedure. Patients can expect a degree of swelling, tenderness, soreness, and bruising following eyelid surgery. However, most of this subsides within the first two weeks, with the healing process accelerating significantly after sutures are removed. Your surgeon will prescribe any necessary pain medication to ensure that the discomfort is minimal. Most patients can return to work within one week of their blepharoplasty procedure, although abstaining from exercise for an additional two weeks is advisable. Once the sutures have been removed, patients can resume wearing makeup. For healthy and efficient healing, patients should follow all aftercare instructions provided by the doctor and immediately contact the office with any questions or concerns about the procedure. Despite being a surgical procedure, blepharoplasty can be performed under local anesthetic in some cases. As with any procedure, it is best to seek out a board-certified plastic surgeon. Although minimal, there are risks to any treatment, and these include dry eyes, asymmetry, scarring, and swelling. Typically, these side effects disappear in the days and weeks following the procedure. The cost of eyelid surgery in Charlotte, NC varies depending on whether the procedure is being performed on the upper eyelid, lower eyelid, or both. Following your consultation we will present a procedure estimate. Insurance companies do not cover cosmetic procedures, although a blepharoplasty performed for the purpose of improving vision might be partially covered by insurance. 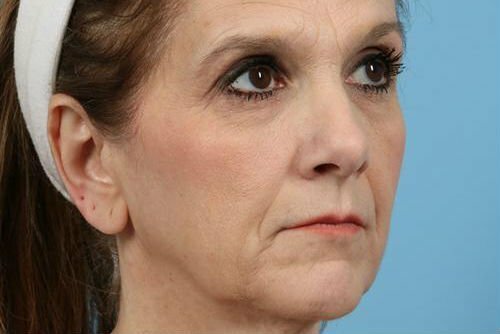 Patients may opt to pair this surgery with other facial rejuvenation procedures, including a facelift and/or brow lift to optimize outcomes and limit recovery.